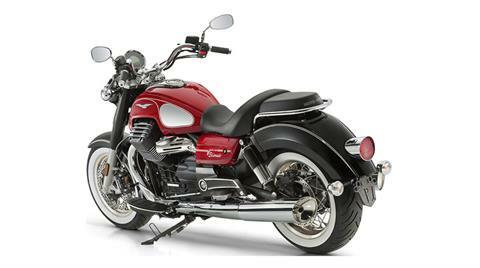 The flashback effect comes out in the details: the spoke wheels, the fuel tank with chromium sides, the oversize saddle, the rear mudguard with the gem-shaped taillight, the bullhorn handlebar, the passenger grab handle. 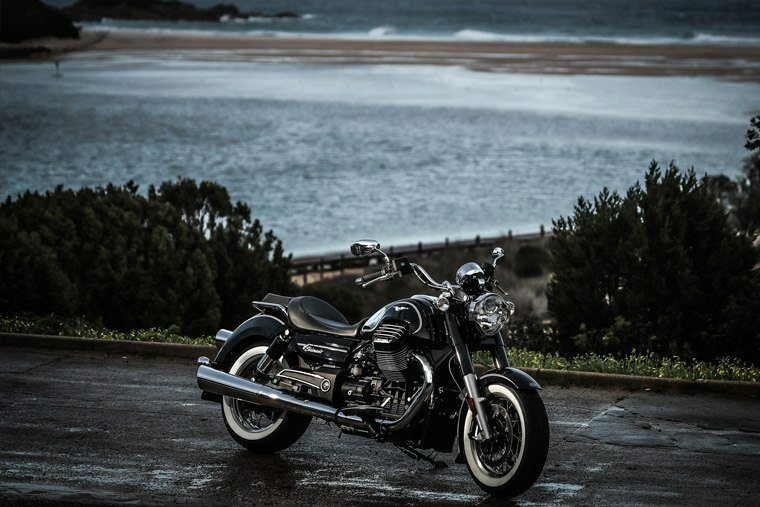 With a lower setup thanks to the new sixteen inch spoke wheels that mount whitewall tyres (130/90 on the front and 180/65 on the rear), attention is drawn to the new wraparound mudguards. 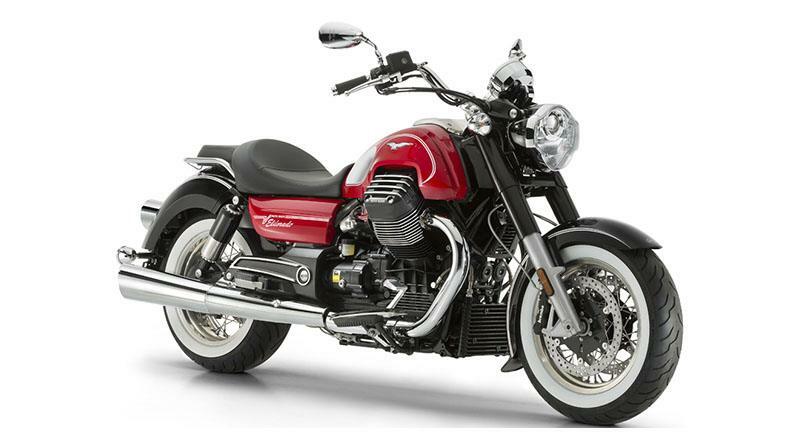 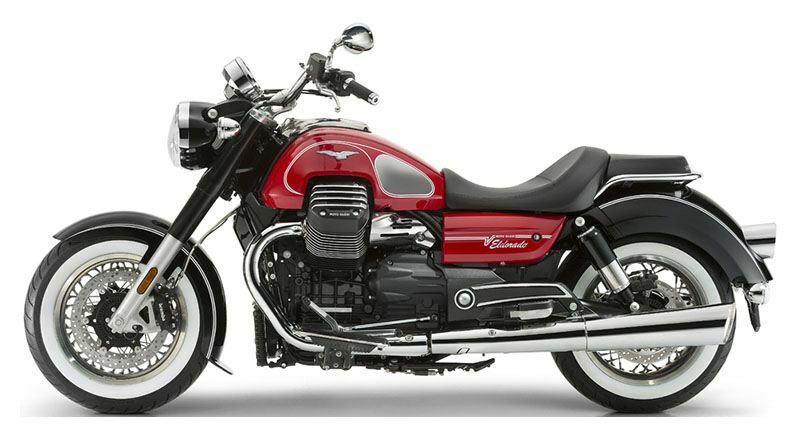 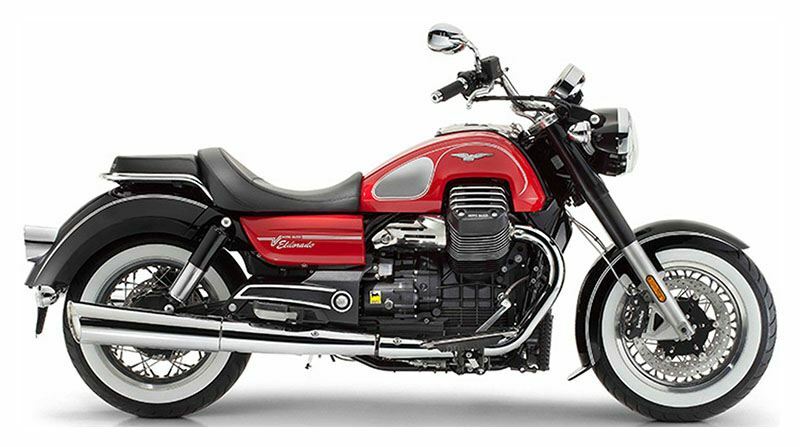 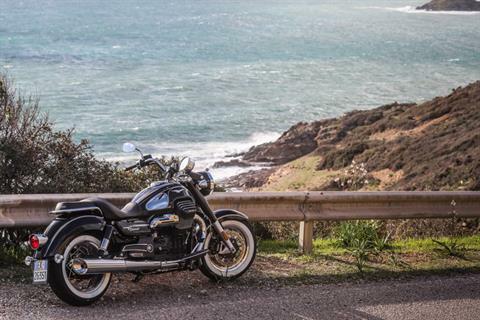 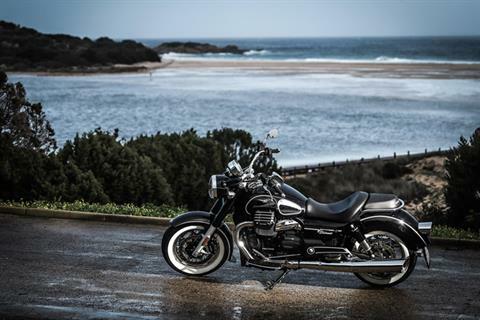 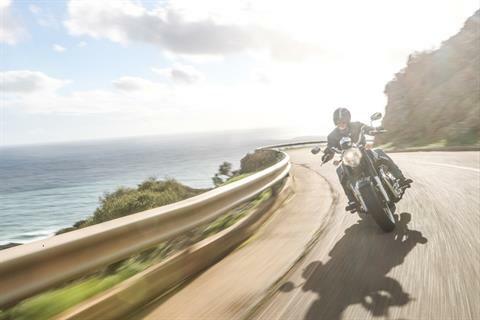 The front has a particularly “clean” design which enhances the powerful front end, whereas the rear, on the other hand, is the element that draws the most attention on this ultra elegant Moto Guzzi. 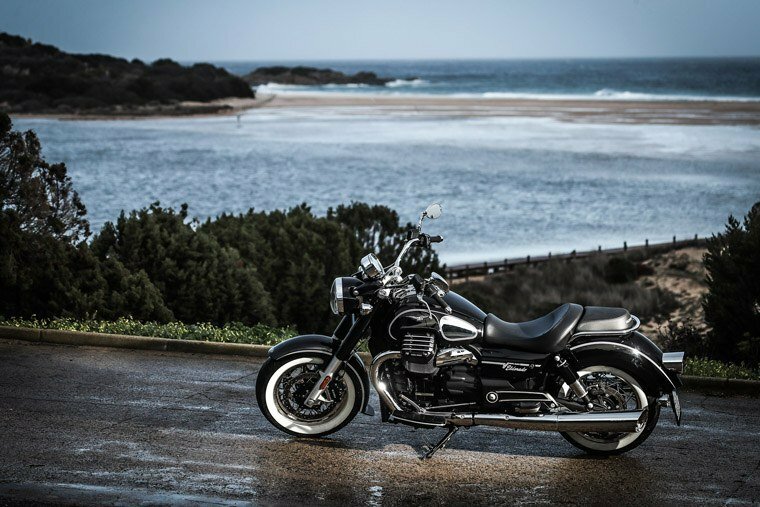 Its smooth and generous shape integrates with the new full cover shock absorbers, the gem-shaped rear light cluster and the classic rounded turn indicators. 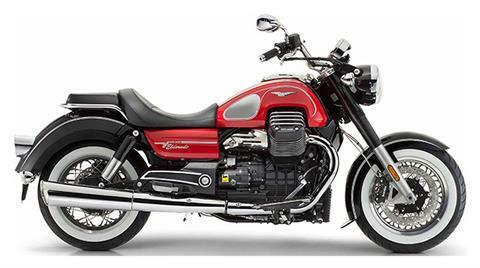 Steel tubing, closed double cradle with elastic-kinematic engine mounting system to isolate vibrations.